Jakarta -- the capital city of Indonesia -- is the center of industry, government, tourism, and business; its economy is based on agriculture, forestry, and fishing. The city has one of the largest fishing industries in the region: its waters yield an abundant supply of mackerel, anchovies, and tuna, as well as pearls and shells. Spices such as pepper, cloves, and nutmeg once made this city an important destination for traders and pirates, and they are still grown today. Reserves of oil have been discovered since the 1960’s, and income from this has helped boost Indonesia’s economy. The first people to live here came from mainland Malaysia. From about A.D. 700, the islands’ abundance of spices and their position on important trade channels attracted travelers from many other countries and greatly influenced their customs and traditions. The Indian merchants brought the Hindu faith while the Arab traders brought the religion of Islam. The islands are watered by monsoon rains and constantly warmed by tropical heat and the huge presence of rainforest. Jakarta's atmosphere is tropical and muggy practically all year-round; as it is so near the equator, normal temperature is just about precisely the same in January and July at around 82 degrees. Rain showers are moderate with the exception of the winter months, when they get to be substantial during the storm season. Indonesia's tropical climate has two seasons. The dry season begins in April and lasts until October, and this is the best time to travel. On the majority of the islands, there's only a little contrast between the winter and summer, with temperatures averaging in the mid-70s to the mid-80s all through the year. As the city is below sea level, the canal framework intended to empty the city of too much water is frequently overpowered, and parts of the city are submerged for quite some time after a heavy downpour. It is best to keep away from Jakarta from the middle of November through March unless you are ready to tour in flooded areas and go around the city in your rain boots. However, it's quieter than in the high season and the downpour is for the most part limited to several hours at the end of the day. The bright lights of Jakarta surround the National Monument on this densely populated island in Indonesia. The landmark of MONAS is at the center of a massive square in the heart of the city. To access the monument, you must pass through an underground entrance that is located at the north end of the site. The ticket costs 40 cents and provides access to the foot of the obelisk and the museum. After visiting the small museum located at the exit side of the tunnel, you have to climb up the stairs and purchase another ticket (80 cents) to access the elevator. Be patient as the elevator can only hold 11 people and the line can be long -- but the rewards are great because at the top, you can have a panoramic view of the city with all its skyscrapers and shanties. This observation deck is situated just below the great torch of bronze and gold and comes with signage explaining the important monuments located within the city. It is very nice to visit and explore this symbol of independence, learn about the lovely places in Indonesia, and take memorable pictures. At night it looks more stunning and impressive, even from afar as the imposing tower gets illuminated. The Jakarta Cathedral stands opposite the Istiqlal mosque and was built between 1891 and 1901. It is a reflection of the calm coexistence of different religions in Indonesia. Despite its antiquity, the European style building with its white towers is still a striking sight in Jakarta. The Roman Catholic cathedral is a masterpiece and located in the midst of the concrete and chaos of Indonesia’s cosmopolitan city. It provides a pleasant break for a moment in the small courtyard and pretty garden that is adjacent on the benches among the trees. The church is over 100 years old and is considered one of the oldest but most robust structures in Jakarta because of the strong materials used during its construction. Visible from the front are three of the tall spires. Upon entrance to the church, the scene immediately captivates everyone. Incoming sunlight penetrates the stained glass windows at perfect angles to highlight the sacred shrines and create an unusual general brightness in this cathedral. There is a small museum located on the balcony, where the old historical objects used by the cathedral are kept and preserved. The tour of Istiqlal Mosque is another great experience when in Jakarta. To view the mosque well, you need a guide. You can stroll around the grounds and visit the central prayer hall. It is an impressive building, not because it is beautiful, but because of its size, accessible location, and layout. It is a special blend of 60-70 years of Islamic and European architecture. What makes this great mosque unique is the use of matte stainless steel mixed with the natural stone. In addition, it has a completely welcoming atmosphere, with friendly guides and staff. This is the third largest mosque in Asia. Entrance is free but they will ask for a small donation after the tour. Pictures can be taken but the caretakers enforce the no flash rule. Wear appropriate clothing and observe silence, especially during prayer time. Introduced in 2006, the Museum Bank Indonesia is effortlessly a standout amongst the present-day modern galleries in Jakarta. It is situated in Jakarta's "Kota" locale, which makes up the city's historic center. The museum is housed in a colonial structure that experienced a total renovation before the opening of the gallery. Entrance to the gallery is through a wonderful lobby with marble floors, inset glazed tiles and stained glass walls. The stained glass was specially crafted in the Netherlands for this museum. It emphasizes two goddesses at the top and customary Javanese commercial livelihoods like batik-production and shipbuilding. In 1953 this building served as the home office for the Bank of Indonesia. The history room shows exhibits about the historical backdrop of the finance industry and how it served as one of the major banks in Jakarta up to 2005. Visit the numismatic room to see the development of the bank notes and coins released in Indonesia. You can view the timeline and the coin collection of the early colonizers and countries that ruled this nation. The building likewise contains an auditorium for events and conferences, plus a small souvenir shop. There is no admission fee and it is open for a tour daily from 9:00 am to 5:00 pm. Make sure to visit this park especially if it’s your first time in Indonesia. The Beautiful Indonesia in Miniature Park will give you a good idea about the culture of this country. It is highly recommended that you first ride the cable car and see the place from a height. The park has a gift shop, where for a reasonable amount of money you can buy gifts for your family and friends. It is the perfect place to see the whole of Indonesia (and its 13,000 islands) all contained in small representations in this huge cultural park. It is quiet, well organized and for ease of movement, it is possible to rent a bike. Or -- if you feeling lazy, rent an electric bike for a reasonable cost! The park staff is friendly and willing to help in any matter. What makes the park truly interesting is that it has successfully collected in one place all the diversity of the cultures and customs of Indonesia. The only downside is that this attraction is quite far from the city center. Nevertheless, a visit is truly worthwhile and the ride on public transport provides the chance to see the pleasant outskirts of the city. The National Museum offers a huge collection of objects reflecting Indonesian culture and history. It is very informative for people of any age. It promotes an excellent image of the greatness and diversity of cultures in Indonesia. Get a good picture of the hundreds of islands and hundreds of tribes that this nation has. All islands and tribes are discussed in length complete with images and objects of interest. The city of Bali is discussed and there are many works of art highlighting the local artists from that city. The Hindu and Arabic influences are also in focus, and it is here where they discuss the significant contributions of these two cultures to the country’s traditions, art, and beliefs. The Ocean Ecopark Ancol is one of the best places for exercising in Jakarta. The area has designated spots for people who want to engage in various physical activities like volleyball, jogging, walking, and biking. If you want to enjoy the beautiful nature but find walking too tiring there is a golf cart that can be rented. You will also find a playground for kids, ponds to feed the fish and a small pigeon aviary for families with children to visit. On weekends there is always a Sunday market with fresh produce for sale. It is equipped with access paths for people with a disability or the need to stay in a wheelchair. In the afternoons, there is an amazing light/laser show to delight the audience (if it is not raining.) The trees and the all green scenery are relaxing and will make you forget the chaotic noise of the metropolis. The recreation center of KidZania Jakarta is situated right within the premises of the Pacific Place Mall. Kids will have a grand time as they explore the choice of “occupations” they can portray. They can become a chef, nurse, dentist, cab driver, factory worker, news reporter, airplane pilot, lab scientist, etc. Kids seem to be most attracted to the firefighter role. They can get right onto the truck with the uproarious siren and get to splash real water on the "smoldering" building. If you have kids (from five and above), take them here and you will understand why. This role-playing center inspires and educates them to at least think about what their future goals in life will be. The Waterbom Jakarta is a water park that is situated on the outskirts of the city. When you enter the park you can rent a private booth to safely store all your stuff in a locker. And then the fun begins: check out the Hairpin area, climb one of the many towering slides and then slide down at high speeds with friends in a four-person capacity water tube. The park is equipped with a very large pool for those who just want to unwind and stay afloat in the cool waters. You can also rent a cabin with deck chairs by the pool. However, the Waterbom Park has forbidden guests to bring their own food and drinks, and if you do so you have to store everything in the locker at the entrance of the park. If you want something to eat or drink you can order from one of the many restaurants in the park. There is also a spacious balcony where you can sit and enjoy the view. In short, Waterbom is good for a fun day out for the whole family! This is a museum about the history of, and with an extensive collection of -- Wayang puppets! For lovers of puppets this is definitely recommended. The Wayang Museum highlights replicas of the famous puppets from around the world, and has a number of interesting old examples. Ancient musical instruments, masks, and other forms of tribal implements are also scattered in different exhibit rooms, adding context to the main contents this cultural museum. The exhibit has been extended with a collection of dolls from all over the world. Aside from having a more comprehensive look at the tribal culture, the place is also ideal for kids to explore. In the hall of the museum you can see the prominent shadow puppet theater. Time your visit to watch a short puppet show performed by the local Jakarta puppeteers. At the exit you can buy dolls and puppets (in the modern version). In the hall there is a collection of national musical instruments that you can play (for example, "drums"). Some of them are sold at the shop. The museum is nestled on a very nice square where you can find a whole lot of other things to do. There are food stalls where you can have a tour of the local cuisine and you will also discover a nice Batavia café that serves delicious coffee and the best apple pie. The Immanuel Church is a solid old building standing in the forked road of the Merdeka Timur, Central Jakarta. Architect J.H. Horst, who began its initial construction in 1834, designed this sacred building. It is located right in front of the Gambir Station where you can see its clearly visible rectangular portico with horizontal pillars supporting the beam. The Palladian building pattern was a classic style of architecture in the 18th century that was commonly used by Greek engineers and builders. The construction of the dome is planned so that sunlight can illuminate the whole room evenly. The round tower or lantern that is placed in the top of the dome is decorated with six stuccos of lotus leaf, the symbol for the Egyptian goddess of light. The Immanuel Church building was officially inaugurated on the 24th of August 1839 and served as a place of worship for the devoted Christians in Jakarta. In honor of King Willem I, the church building included the name of the King Willemskerk of the Netherlands during the period of 1813-1840. The church organ was installed and framed in 1843 through the help of the people from the Netherlands. The Hutan Mangrove is located just behind the beautiful beaches of the TzuChi cotton foundation. Access is easy and the entry ticket is cheap. 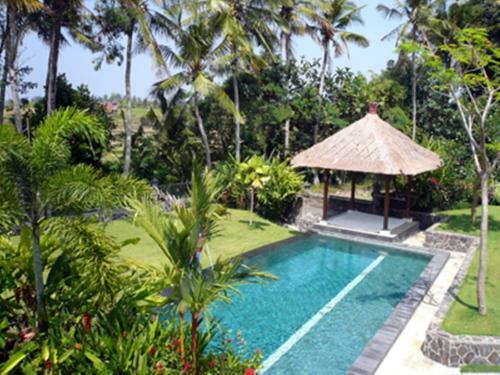 There is also a good selection of villas where visitors can stay. The restrooms are well maintained and the infrastructure of the place is nicely set up with many good spots for taking pictures. This place has been a favorite venue for many pre-nuptial photo shoots. For those who want to see wildlife in the mangrove forest and get closer to nature, you can rent a boat that will take you to the middle of the mangrove area; you will really understand the importance of preserving the shore from environmental erosion. At the promenade area you can enjoy cycling and ride through the pleasant scenery while breathing the fresh air coming from the mangrove forest. There is only one restaurant and one cafeteria in this region. But if you want to let your palate really explore the culinary wonders of Indonesia, take a 10-minute drive to the beautiful beaches of the cottonwood complex where there are many restaurants and cafes with a variety of the hearty, spicy, and sumptuous dishes for which Jakarta is famous.